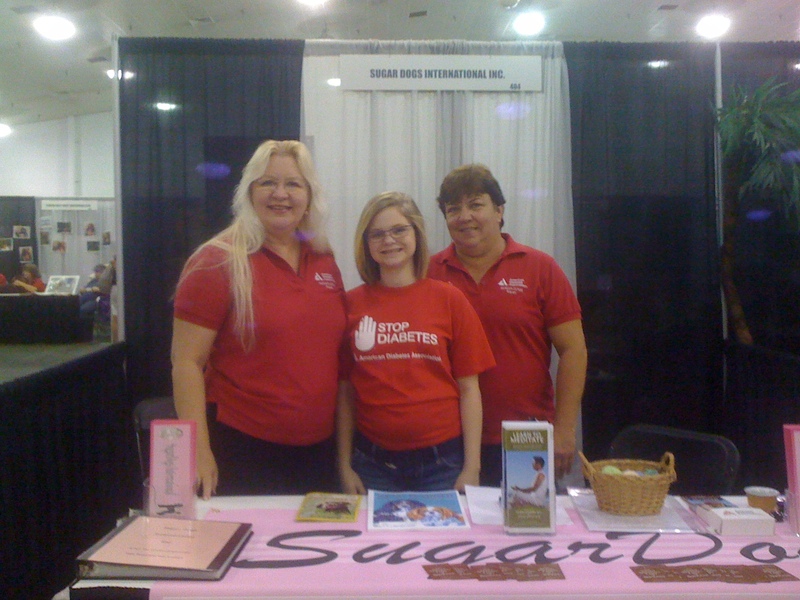 Sugar Dog Stories – Bo, Lucy Lou & Scarlet O’Hare | Sugar Dogs International, Inc.
Marissa’s two little red headed girls arrived in early July 2011 and by mid-September were alerting. In fact, on Thursday, Oct. 13th they may have saved Marissa’s life. Both Poodles alerted to her BG and Marissa took multiple readings. Marissa and her 2 little red headed Sugar Dog girls spent a WEEK at St. Joseph’s Children’s Hospital in the PICU. They used PP pads and slept on the hospital bed with their Marissa. Mom Karen was very glad for the BestPet dog cart as it helped with taking the Sugar Dogs out for occasional walks. Scarlet and Lucy Lou have been doing GREAT work since their arrival. They love Marissa. You know promise, “If the Poodle love you, it will alert.” The little red headed girls love Marissa and 2 are twice the fun! Twice as nice! Scarlet and Lucy Lou are Sugar Dogs! They are diabetic alert service dogs that Marissa trained. She got the Poodles in early July and by mid-September, they were alerting to both high and low blood glucose! Good girls! Good work Marissa! Good work Mom Karen and Mimi Sue! On Valentine’s evening, February 14, 2012, Sugar Dogs International, Inc. was honored to present Marissa as its Queen of Hearts with her family and friends all around. We gathered for Seafood and Prime Rib Buffet at the the famous Red Rose Dining Room. As a juvenile diabetic since age 5 years, Marissa is now 16 and relies upon 2 diabetic alert service dogs and the strong love and support of her family. Lucy Lou and Scarlet O’Hare are diabetic alert dogs. They live with Marissa, a Type I juvenile diabetic who is insulin dependent. Sometimes in the night, her blood sugar drops really low and the dogs sleep with her. When the teenager’s sugar drops too low, Lucy Lou and Scarlet lick her face, nibble at her fingers, hands and wrists, and both Sugar Dogs bark to wake up the diabetic and her mom. Then they get up, go to the kitchen and Marissa tests her blood glucose level, and then she eats a bite and has a glass of juice. Lucy Lou and Scarlet are working dogs! Diabetic alert dogs are specifically trained to assist diabetics. These Poodles will alert to low blood sugar, high blood sugar, diabetic coma and diabetic seizure. 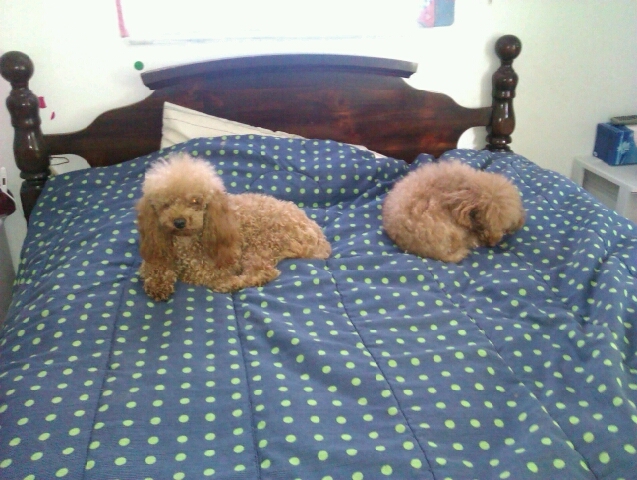 Lucy Lou and Scarlet are Red Toy Poodles! Sugar Dogs International is very proud of Marissa. Celebrate this beautiful young lady and her Sugar Dogs! Marissa has worked very hard and her good, hard work has paid off with positive results. She’s now on an insulin pump and her blood glucose readings are more closely monitored. We are thankful! In the year that Marissa has been working with Lucy Lou and Scarlet O’Hare, her A1c has dropped from the 14s to the 11s. While we have a ways to go to gain perfect control, Marissa has made a HUGE improvement. She knows that her BG is her responsibility. 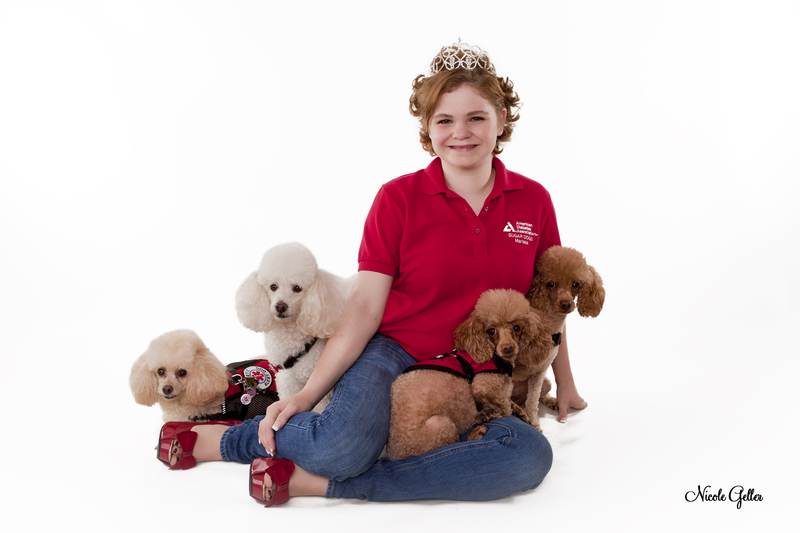 At 16 years old, she wants to test and take the best care of herself, and she loves working with 2 Sugar Dogs. That’s why she’s our Sugar Dogs International Queen of Hearts.